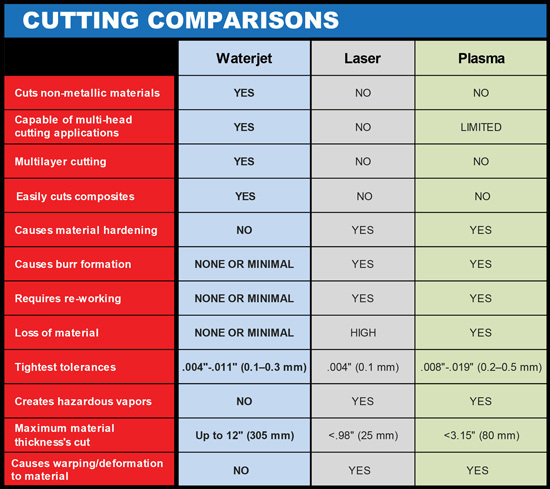 Since composites are not homogenous materials and are reinforced for greater strength, cutting composites requires a different approach than ceramic cutting or metal cutting, for example. 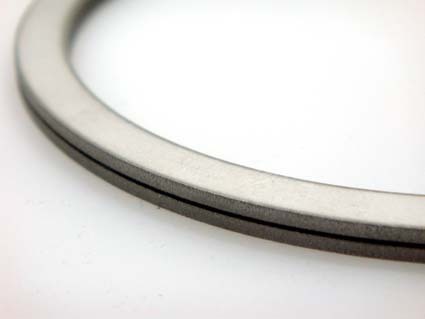 Using conventional cutters and machining techniques will quickly cause parts to wear out and require replacement. Employing the techniques often used for cutting granite or titanium may also compromise the strength of the composite and/or cause delamination, making the material less suitable for use in applications such as aircrafts and medical devices. Ideal for cutting up to 20 cm (8”) of composites materials depending on density of product. The absorbing characteristics are preserved 100% because the cold-cutting technology does not affect the rubber layer. 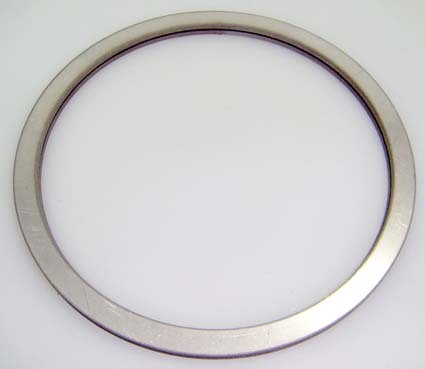 Waterjet Cutting is the most economical method to cut this item because the three-coat base plate can be cut as one. The layers do not have to be cut separately.